Manchurian scorpions preserved with salt. The salt may create “light to white” areas on the scorpions. Scientific Name: Mesobuthus martensii Impress your guests: These small and dramatic scorpions definitely have a ‘wow’ factor. 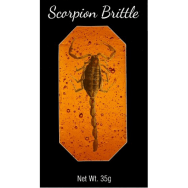 Some say these scorpions taste like shrimp, others say the taste has to be experienced. Here’s your chance. 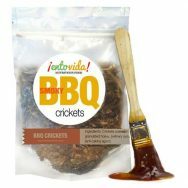 Add as a conversation starter to hors d’oeuvres, as well as cocktails, soups, salads etc. This is a new food for North America. 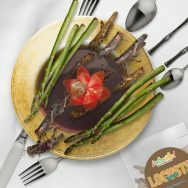 Scorpions are the ‘it factor’ for contemporary cuisine. For bulk orders, contact us for current prices and quantities available. 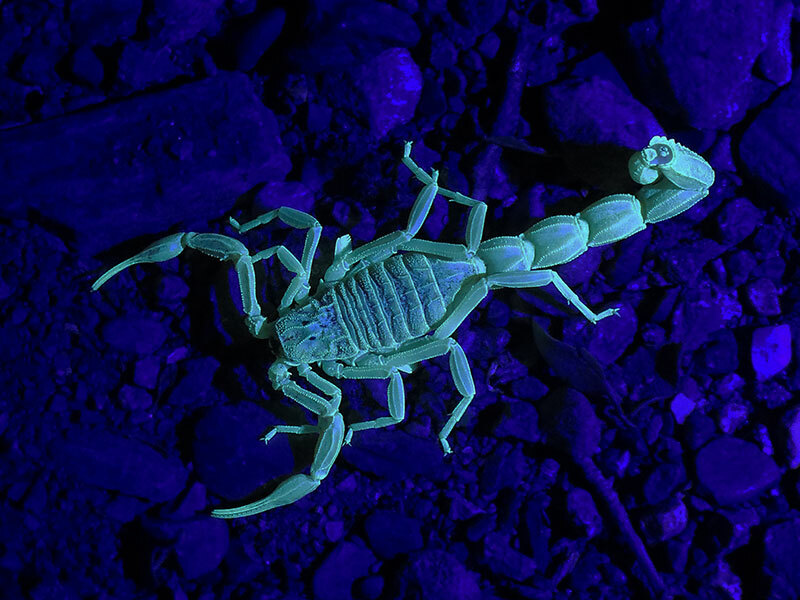 Did You Know That Scorpions Naturally Glow Under a Black Light? Try our mini black light flashlight to experience it for yourself. Scorpions have a green to blue glow when you shine this little flashlight on them. Awesome. Two words – Tequila Shots. 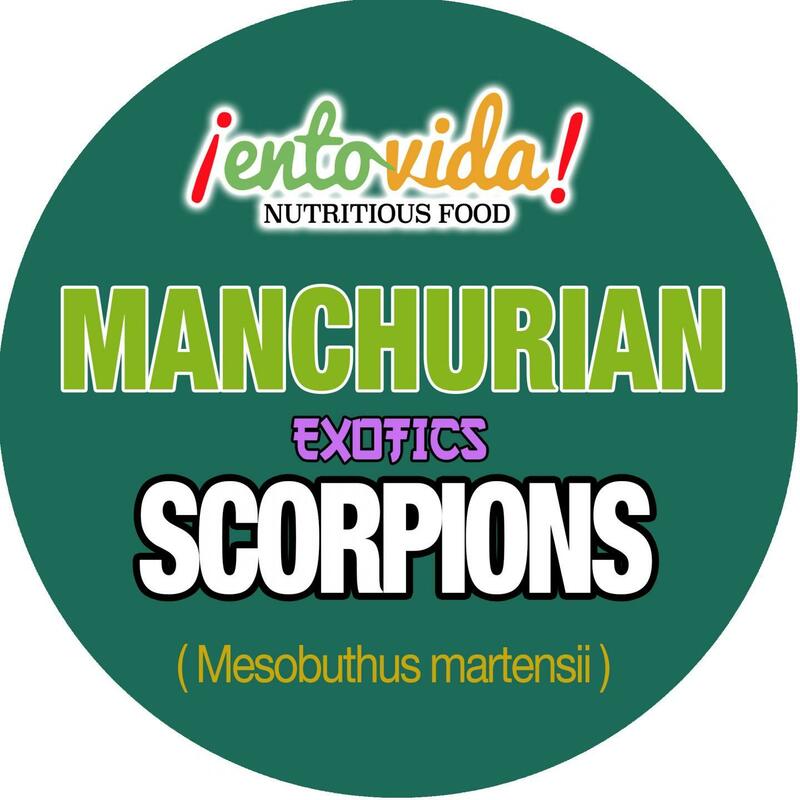 We're not sure if you can eat any old scorpion but we do know that you can eat Manchurian Scorpions and Asian Forest Scorpions. 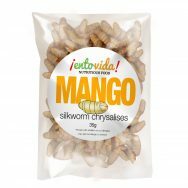 You can eat them whole, stinger and all. 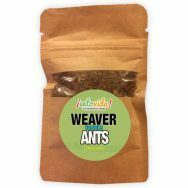 Although little known here in the United States, ancient Chinese medicine considers scorpion powder to have many benefits and to be good for many diverse ailments. 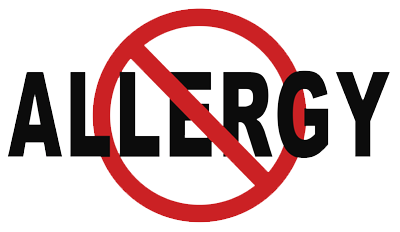 In China, there are a number of patented medicines using scorpion powder/extract. We, however, make no such claims. 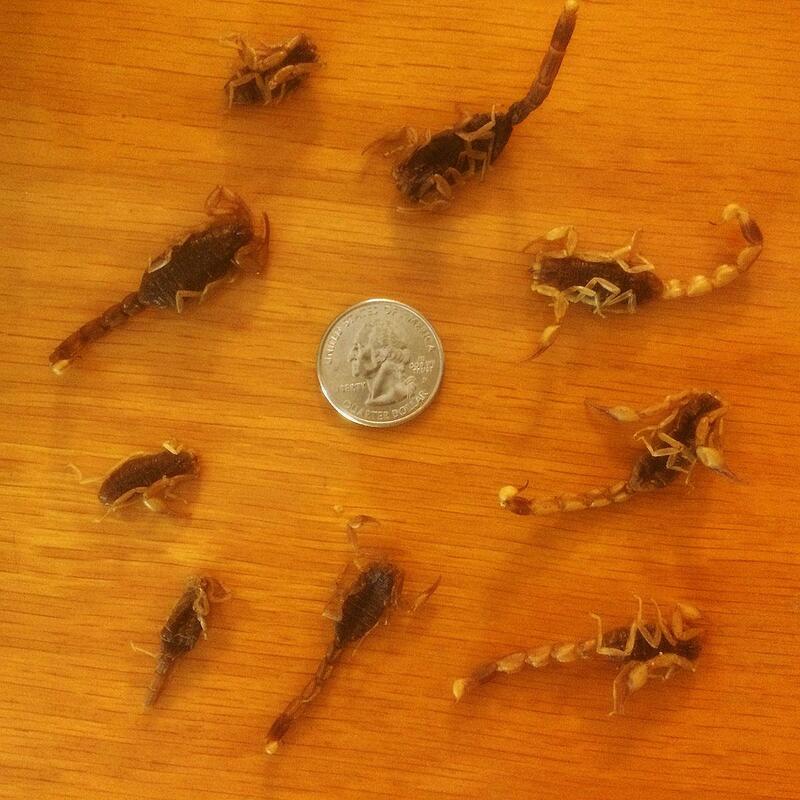 Can you eat the scorpion stinger? It's up to you. Many people do eat the stinger but bit is also common practice for chef's to chop the stinger tip off. What About the Scorpion Poison When You Eat One? Soon after the scorpion dies the scorpion poison becomes inert. 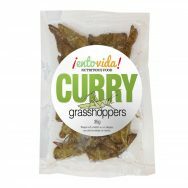 It's safe to eat frozen, dried, fried or baked scorpions. The only ones you need to worry about are living or freshly killed.